Having a spinal cord injury (SCI) can change your whole world. You may be going through a lot of new emotions and situations every day. Sometimes you need to process thoughts about the injury itself. 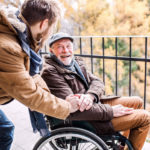 Other times you may need to think about a stressful event that has occurred because you are now in a wheelchair. Or maybe you just have problems to solve, and you need a place to write down your choices and goals. Journaling is a coping skill that can be used to address all of these issues. It can help you organize your thoughts and express your feelings, leading to a more relaxed, productive life. Journaling is also easy to do. It doesn’t require a lot of expensive equipment. You probably have everything you need already in your home. 2 Ready To Start Journaling? 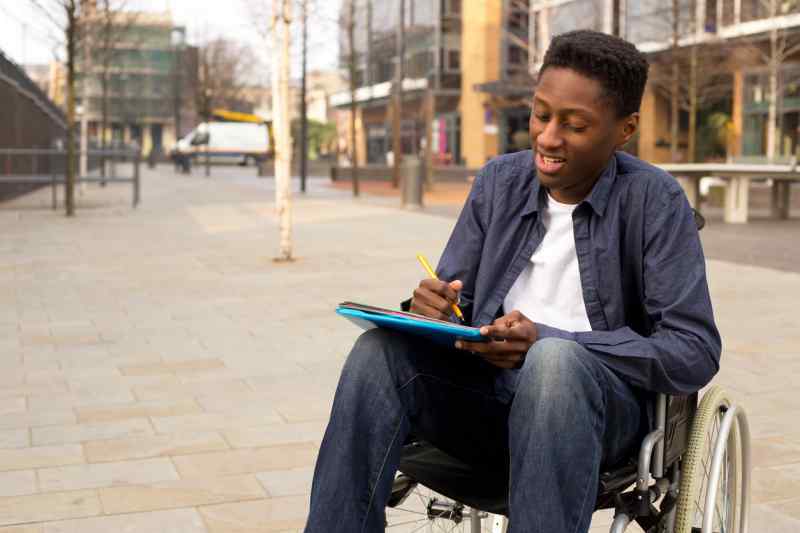 Journaling can help you process your thoughts and feelings about your spinal cord injury. When a life-changing event occurs, we go through many emotions. One day you may feel angry. Another day you may feel hopeful and upset. This is normal. Writing these emotions down can help you let go of some of the negative feelings as well as encourage you to hang on to some of the positive feelings. Journaling can relieve the stress related to challenging events in your life. Maybe you went to hang out with your friends but found it difficult to participate in some of your old favorite activities. Or maybe you have an upcoming doctor’s appointment you are worried about. Writing about these events can take the stress out of your mind and put it onto paper. This can free your mind from constantly thinking about these things and allow you to relax and move on. Journaling can help you solve problems by writing out your choices and goals. Thinking about choices and goals can be overwhelming if you don’t organize your thoughts. Maybe your spinal cord injury has caused you to change your employment goals. Making a new goal and writing out the steps to attain it can clarify the thoughts in your mind. Break your goal into small steps that are easy to accomplish. Then you can stop worrying and start doing. Choose a journal. A journal can be kept in a notebook, or in digital form. If it is hard for you to write or type, you can use voice-to-text software that types out what you are saying. The important thing is that the journal is easy for you to use. The easier it is to access, the more likely you are to use it. Make the time to journal. To see consistent benefits from journaling, you should set aside a time every day that is reserved for journaling. Most people prefer to journal first thing in the morning or right before bed. You can choose whatever time is convenient for you. If you make time to journal every day, it will become a habit. Just start writing. You don’t have to wait until you feel like you can express your thoughts perfectly. Writing is like any other kind of work. You must practice it for it to become easier. Your journal is for you, so don’t worry about how it sounds. The important thing is that you are making the time to do it. Now that you know how beneficial journaling can be, and how easy it is to begin, why don’t you give it a try? It may become one of the best parts of your day. 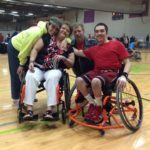 This post is based on information found in the article, Journaling for Spinal Cord Injury: Benefits and Getting Started, by Roll Rev.